Stop braking � This will let the rear wheels roll again and keep the rear wheels from sliding any further. If on ice, push in the clutch to let the wheels turn freely. Turn quickly � When a vehicle begins to slide sideways, quickly steer in the direction you want the vehicle to go� down the road. You must turn the wheel quickly. Countersteer � As a vehicle turns back on course, it has a tendency to keep right on turning. Unless you turn the steering wheel quickly the other way, you may find yourself skidding in the opposite direction. How do you stop a front-wheel skid? If a qualified person is at the accident and helping the injured, stay out of the way unless asked to assist. After accidents � Spilled fuel, improper use of flares. Tires � Underinflated tires and duals that touch. Electrical system � Short circuits due to damaged insulation, loose connections. Fuel � Driver smoking, improper fueling, loose fuel connections. Cargo � Flammable cargo, improperly sealed or loaded, poor ventilation. 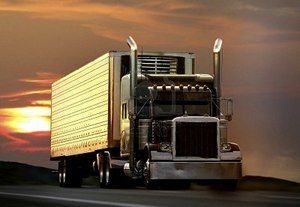 Make a complete inspection of the electrical, fuel and exhaust systems, tires and cargo. Be sure to check that the fire extinguisher is charged. Check the tires, wheels and truck body for signs of heat whenever you stop during a trip. Follow correct safety procedures for fueling the vehicle, using brakes, handling flares and other activities that can cause a fire. Check the instruments and gauges often for signs of overheating, and use the mirrors to look for signs of smoke from tires or the vehicle. The first step is to get the vehicle off the road and stop. Park in an open area, away from buildings, trees, brush, other vehicles or anything that might catch fire. Do not pull into a service station.